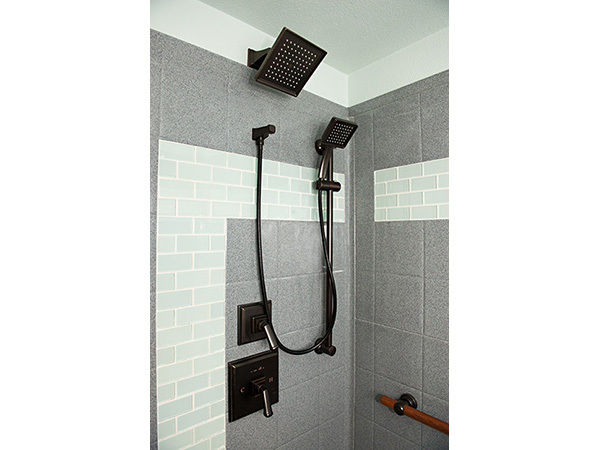 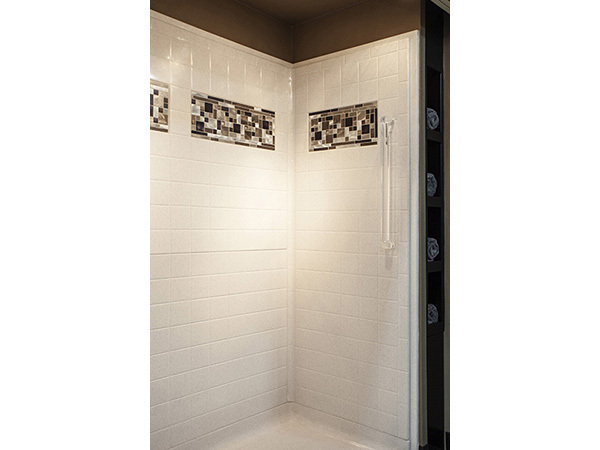 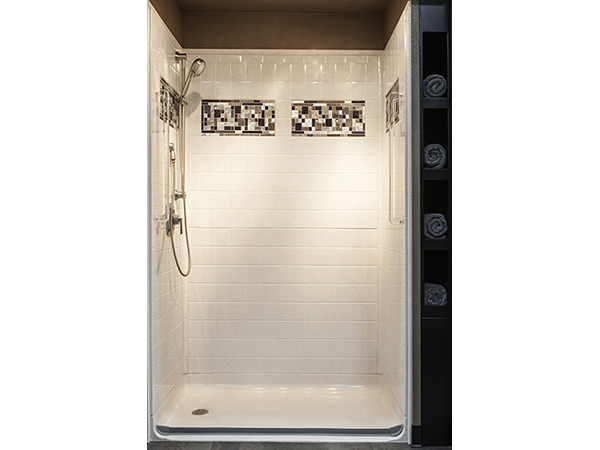 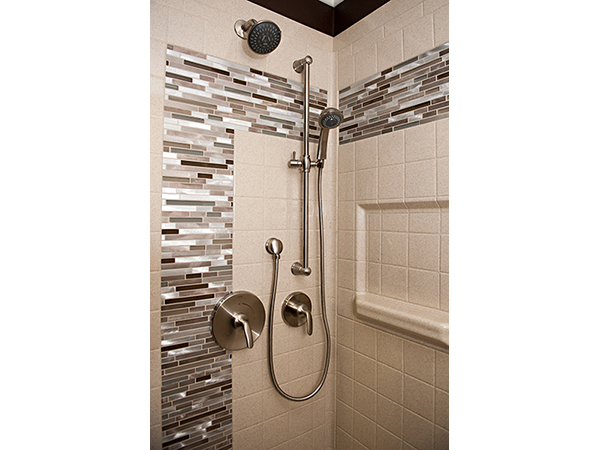 When we install your new accessible shower, we can add recessed tile to really make your new shower pop! 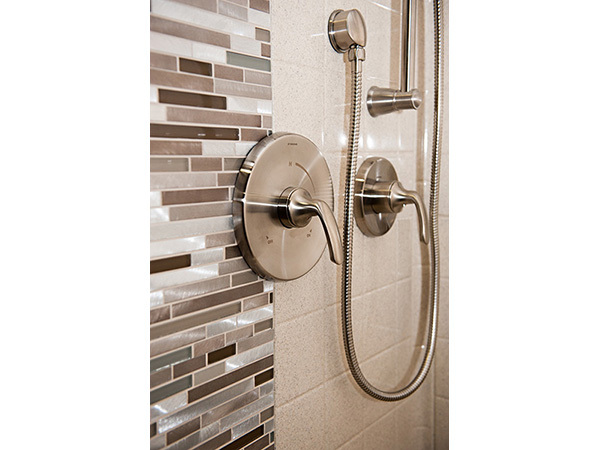 Recessed tile can also be added to other areas of your bathroom as well, around the sink or mirror and wall. 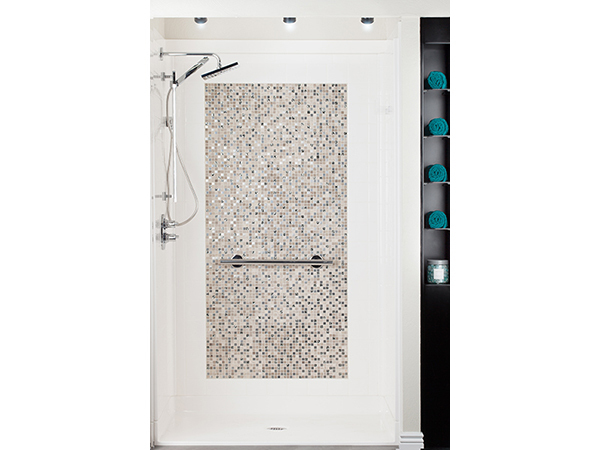 Recessed tile is the modern way to transform your bathroom into a spa like retreat eventhough we are modifying it for you to be able to navigate easier. 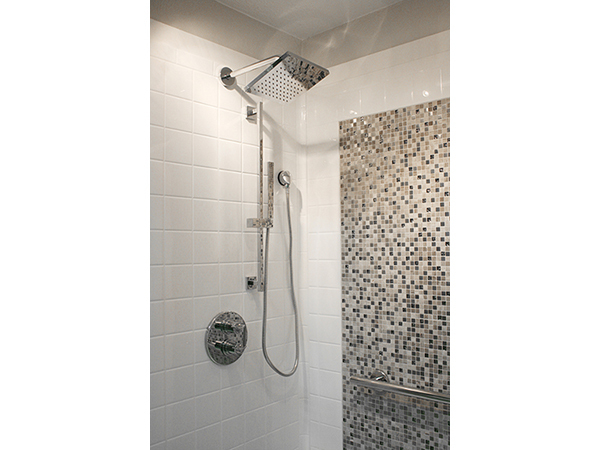 It doesn't have to look medicinal. 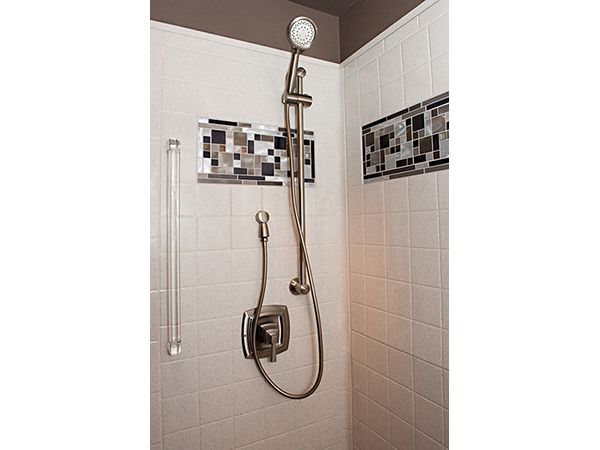 Your bathroom can be made functional, safe and visually appealing. 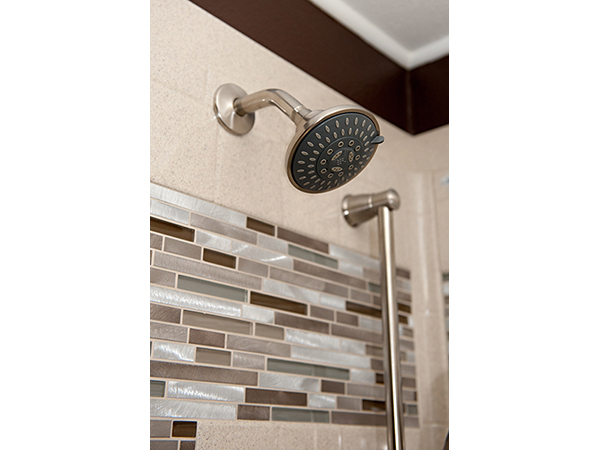 Want to make your bathroom look "more beachy" or "classy"